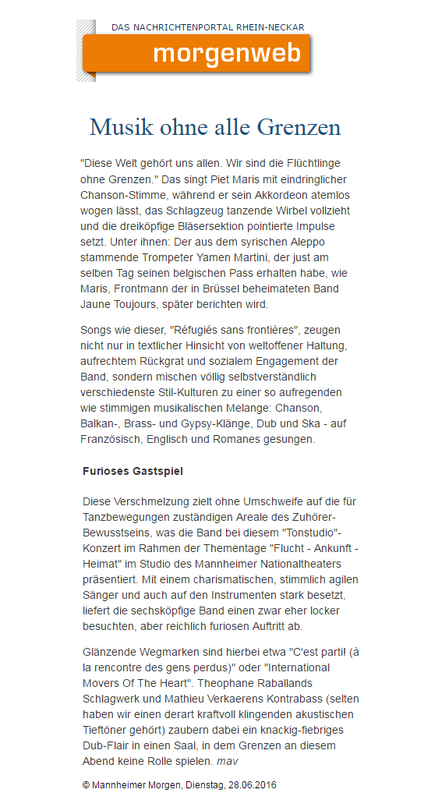 On July 24, Jaune Toujours set out for Mannheim to play in the National Theatre. Morgenweb was there and captured the night in this amazing review. Click the image below for the full review!